Captain's Timesheet >>> Here <<< Captains PDF Paid list Please arrive 20mins before your tee time and make your arrival known to the starter asap. Presentations will take place in the Old Mill at 8.30pm on Sat 1st of July, all members & family welcome. ( even if you didn't play ). · all full members can play both days but please note it's your 1st score that will count towards the 36 hole Captain's Prize. ( so if you don't play Saturday your Sunday score will be aggregated with the Capt's Day Score on Saturday July 1st and if you play both days your Saturday will count). 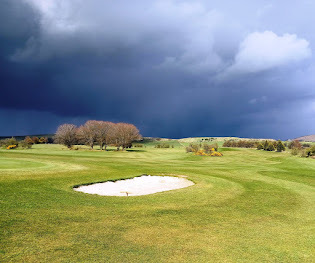 · The Competition course is set from midnight Friday 23rd. 2 winners (with 51pts) shared the top spot with a pick of Brooks Koepka & Rickie Fowler. Aoife O'Driscoll and Mark Nolan both win €187.50 each. The Following 8 people (with 52pts) predicted Hideki Matsuyama & Rickie Fowler and win €25 each : Aidan Cruise, Brian Cruise,Brian Campbell, Eamonn Carroll, John Creed, Mags Dobey, Robbie Meany, Gerry Perry. The Committee would like to thank all those who took part and look forward to your continued support for Major No:3 the Open Championship from Thursday 20th of July. 8/06/2017: Ger Brady & Michael O'leary had another excellent performance in the McGinley Trophy, away at Portmarnock they battled back from being down thru the front 9 to bring the match back all square thru 18, but an opposition par saw them agonisingly losing out on the 1st playoff hole . 21/5/2017 : A Very good start to the McGinley Trophy '17. Dublin Mountain represented by Gerry Brady & Michael O'leary beat a big hitting Corrstown team 3&2 at home.They now go on to play next knockout match in Portmarnock ( old Course). This competition is 4ball betterball MatchPlay , Ger & Mick qualified to represent DMGC by winning our internal 2016 Scotch Foursomes Matchplay tournament. Tickets are now available for the US open DMGC fundraiser.